For those that are the younger generation and didn’t know Ayrton Senna, he was a Brazilian racing driver, the winner of three Formula One championships for McLaren in 1988, 1990 and 1991. Brazil’s stops to see Ayrton’s racing, and why not to say the world? By the end of each race, he passes by the podium with our flag! It was a magic moment! Ayrton was one of the greatest drivers and still widely regarded as a Champion of Formula One. Till the terrible day of his accident on May 1, 1994, that took his life in Imola, Italy. He was leading the 1994 San Marino Grand Prix for McLaren. The intense life and profession soon established himself as one of the best worldwide racing drivers. In the Hall of fame, Ayrton’s name is eternal for all affectionate to cars racing. The day that the country received his body to rest (in Sao Paolo) was the saddest day in Brazil. The entire nation pays a presidential homage to Ayrton’s family. A tragic day. Now, McLaren is paying another Homage to Ayrton Senna, and his name is pure magic. 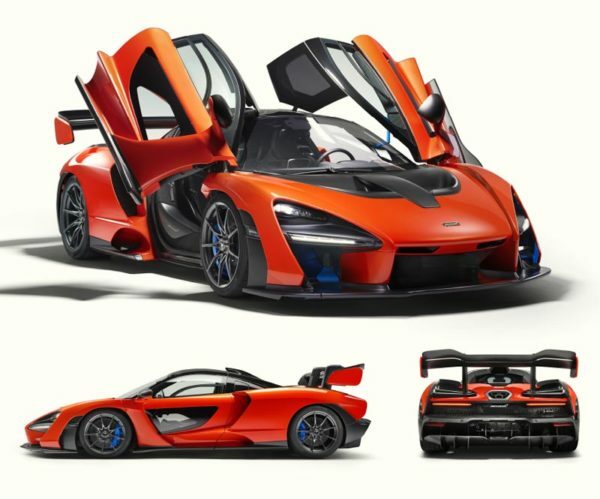 It is called McLaren-Senna the launched car. The most extreme road car McLaren has ever built, and the latest model in the McLaren Ultimate Series. Bears the name of legendary Formula 1 driver, Ayrton Senna, befitting its status as the ultimate McLaren road-legal track car. The most responsive and engaging road-legal McLaren ever, with the purest connection between driver and car. Aggressive appearance epitomizes McLaren’s ‘form follows function’ design philosophy. Mid-engined, rear-wheel drive layout, with advanced RaceActive Chassis Control II (RCC II) suspension and Comfort, Sport, Track and Race handling modes. Active front and rear aerodynamics; up to 1,763.7lbs of downforce. Driver-focused cockpit, with only essential instrumentation and ultra-light, one-piece carbon fiber racing seats. Carbon fiber Monocage III chassis and carbon body panels are integral in making the McLaren Senna the lightest road car McLaren has built since the iconic F1, at 2,641lbs lightest dry weight. 4.0-liter twin-turbo V8, the most powerful McLaren road car internal combustion engine ever, configured to deliver instant throttle response. The M840TR engine produces 789bhp and 590b ft, giving the McLaren Senna a power-to-weight ratio of 659bhp-per-ton. 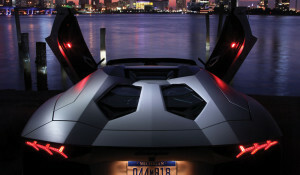 Savage performance: 124mph in just 6.8 seconds, with 62mph achieved in 2.8 seconds and 186mph in 18.8seconds. The cockpit comes alive with the sound of air rushing into the roof-mounted ‘snorkel’ intake. Unique Inconel and titanium exhaust exits through ultra-low carbon fiber rear deck, enhancing aerodynamic performance. Motorsport-derived braking system provides unprecedented stopping power: braking from 124mph to stand still in just 328 feet (100 meters). Production limited to 500 units, all hand-assembled at the McLaren Production Centre in Woking, Surrey, England, from Q3 2018 -and all allocated to customer. 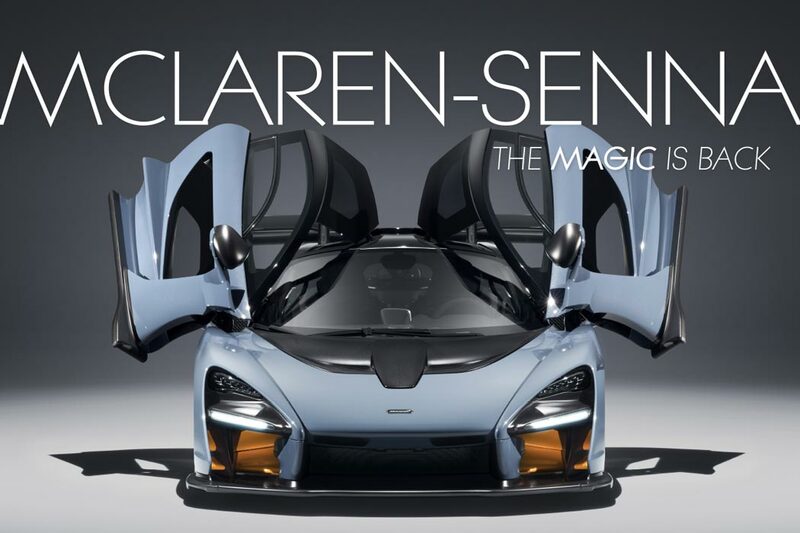 True to the legendary abilities of one of McLaren’s greatest racers, every element of the McLaren Senna has an uncompromising performance ethos and a raw focus that delivers the purest connection between driver and car; this is the most responsive and engaging road-going McLaren ever. 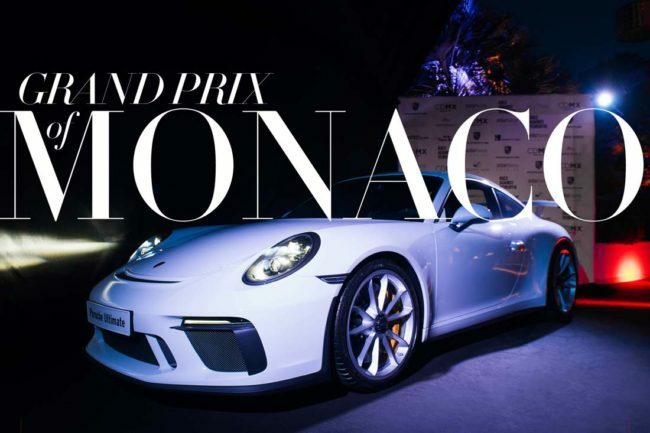 To this end, the appearance of the car is deliberately aggressive; organic shapes have given way to a design language that purposely fragmented in its pursuit of absolute performance, with downforce and aerodynamic balance the guiding principles. The McLaren Senna is the most robust expression yet of McLaren’s ‘form follows function’ philosophy.